Gazprom's situation has become increasingly difficult since January's notorious natural gas crisis. From being ranked as the world's fourth most-valuable corporation in 2008 with a market capitalization of nearly $300 billion, it has now dropped into the low 30s, with its capitalization shrinking to around $90 billion. Even more worryingly for Gazprom is the fact that the natural gas market is changing in a number of ways. First, the pressures of the economic and financial crisis have led to a considerable depression in gas demand. Domestic consumption in Russia, the second largest gas market in size after the U.S., has fallen considerably. The real problem, however, lies in a drop in exports that provide Gazprom with the majority of its revenue. Western Europe alone has reduced its Russian gas imports already by up to 50 billion cubic meters (cm), with Germany and Italy responsible for nearly half that drop, while Turkey has bought 25 percent less gas from Russia in the first half of 2009 compared with last year. This is laying the ground for commercial disputes between Gazprom and European companies such as E.On, Eni and Botas, since they are buying less gas from the Russian energy giant than stipulated in their long-term "take-or-pay" contracts. This undelivered gas is currently valued at roughly $2.5 billion. 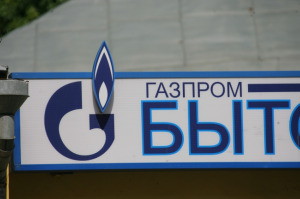 While Gazprom insists its customers pay up, European energy companies claim there should be more flexibility in their contracts, stressing that Gazprom itself is failing to fulfill its obligations to buy its requisite amount of Turkmen gas and that Prime Minister Vladimir Putin has so far allowed cash-strapped Ukraine to buy much less gas than it is contractually obliged to. In addition, they point out that they did not take the Russian energy major to court over its breach of contract during the gas crisis when its failure to transit gas through Ukraine left Europe in the cold. Both sides will have to come to a suitable arrangement; this is particularly necessary given the fact that no one can guarantee an increase in future natural gas consumption. Quite to the contrary, according to the latest World Energy Outlook published by the International Energy Agency (IEA), gas consumption is expected to fall by 5 percent by 2015 and 17 percent by 2030 compared with a business-as-usual scenario if environmental policies such as energy efficiency and the expansion of renewable energy are put into place. Similarly, a recent report by Cambridge Energy Research Associates (CERA) states that the EU is able to cut back its consumption by 125 billion cm per year - similar to consumption levels in the early 1990s - by 2030 using existing technologies to increase energy efficiency. Second, the global gas market has steadily moved from a seller's to a buyer's market. New liquefied natural gas (LNG) supplies are causing a glut on the market that is depressing prices on the spot market. Back in August, for example, the forward gas price in the UK for delivery in winter was around $0.66 a therm, down from more than $1.64 in June 2008. This also explains the reduced imports of Russian gas as European industries decided it was better business to buy gas independently or through other traders for $116 per 1,000 cm than for over $287 per 1,000 cm under Gazprom's long-term contracts. These new circumstances marked by high oil-indexed long-contract prices versus low spot prices are also reigniting discussions on their decoupling. Algerian Energy Minister Chakib Khelil as well as Nobuo Tanaka, head of the IEA, have both recently indicated that the link between oil and gas prices could be broken. Indeed, the continued rationale for linkage is questionable, as argued by Jonathan Stern, since the original rationale "that end-users had a real choice between burning gas and oil products, and would switch to the latter if given a price incentive to do so" has largely disappeared. This issue will also impact on the development of the Gas Exporting Countries Forum (GECF), as its members might be tempted to operate like OPEC and rework the methods of calculating gas prices. The group's next ministerial meeting on Dec. 9 in Doha will, besides electing a secretary-general, undoubtedly discuss this topic. This won't be without controversy. As some of its members primarily rely on LNG exports (Qatar and Algeria) and some on pipeline exports (Russia), interests are likely to diverge. This is particularly the case given the fact that Gazprom has lost pipeline gas volumes to cheaper LNG and does not enjoy the same level of flexibility as LNG producers do. Furthermore, Russia might also be inclined to maintain a link to oil prices as its Russian sour grade crude is speculated to eventually become an Asian benchmark oil price with increasing oil exports to Asia through the ESPO (East Siberia-Pacific Ocean) pipeline, which will end up carrying up to 1 million barrels a day. Intense debate over the pricing mechanisms can therefore be expected within the GECF, and it is likely that Gazprom will want to go it alone and come to a separate agreement with its European counterparts concerning prices in order to uphold its dominance on the European gas market. Third, other players are, albeit slowly, increasing their market share. Qatar is bringing on-line a range of new LNG supplies, the U.S. is focusing on its massive unconventional shale-gas reserves, Azerbaijan is eager to sell its gas to the EU through the planned Nabucco pipeline, Iran has signed a deal with Turkey to develop the South Pars gas field, the largest in the world, and both have recently reached an agreement to transit up to 35 billiion cm of Turkmen gas to Turkey. In addition, Gazprom is having to come to terms with the independent gas producers on the Russian market. Novatek, Russia's largest independent gas producer, is one case in point. It has recently won a contract to supply up to 7bn cm to state-controlled power generation utility OGK-1, which has traditionally bought its supplies from Gazprom. Novatek was able to offer a better price and payment terms than the Russian gas giant, since the latter is generally inflexible when it comes to domestic pricing as its tariffs are set by government regulations aiming to avoid monopolistic price fixing. It is without a doubt, however, that Gazprom will remain a key actor abroad as well as home. After all, the Russian gas major is not the only one suffering. Other players in the business, particularly in the Middle East and North Africa, are also feeling the crunch; they are arguably in an even worse situation. With a booming population, these countries are actually facing an increasing domestic demand for cheap subsidized gas. This is eating into public coffers and making upstream investments commercially unattractive. In addition, it actually limits their ability to export, thereby not only reducing crucial revenue streams but also their market share. Iran is a particularly pertinent example. Holding the third-largest reserves in the world, it produced 116 billion cm in 2008 while consuming 118 billion cm the very same year. As such, Iran's contribution to providing Europe with energy should definitely not be over-estimated, particularly in the context of the sanctions associated with the nuclear stand-off. In this vein, Gazprom's situation in Europe, with its fixed pipelines and massive gas trade, is relatively secure. Nevertheless, the current market conditions of reduced consumption/oversupply and, consequently, low prices on the spot market are extremely unfavorable. The gas major is facing excess capacity and the loss in exports is significantly affecting its balance sheet. In the first half of 2009, its profit was 48 percent lower compared with the same time frame in 2008, while its debt grew by 31 percent. At this point in time Gazprom can therefore count itself lucky that it did not heed the calls of numerous commentators – myself included – for greater investment in its gas fields. Had it done so, its current situation would have looked even worse. Whether this trend is set to continue will largely depend on how long it takes the economy to recover and boost demand as well as on the extent to which low-carbon policies such as energy efficiency and renewables are actually translated into action. Considering that the EU's 20 percent energy efficiency target is still not binding, that the European Commission is finding it difficult to come out with another energy efficiency directive and that its member states are struggling to fulfill their renewable objectives, gas demand is likely to rise again in the medium-term with a rebounding economy. In the meantime, Gazprom is trying to deal with this new context in a number of ways. First and foremost, it has cut its investment program for 2009 by $5 billion and has announced that it will delay the development of the Bovanenko field by one year, until 2012. Secondly, Prime Minister Putin has put forth a resolution ordering Gazprom to relax payment conditions for industrial users on the Russian gas market in the hope that this will stimulate domestic demand. Third, the Russian gas monopoly has started turning its attention to new markets, in particular China – a major emerging consumer – with Gazprom and China National Petroleum Corporation (CNPC) preliminarily agreeing on a framework that would open the way for Russia to supply up to 70 billion cm per year by 2014-15 through two new pipelines. This draft agreement, which has been negotiated since 2003, would benefit Gazprom, as it would increase its flexibility and allow some of its potential future excess supply to be offloaded. Fourth, Gazprom continues to cement its position in Europe, partially by reducing its own dependence on Ukraine's transit system, through the construction of the Nord Stream and South Stream pipelines. Both pipelines have recently received a boost: Nord Stream has now obtained all of the necessary construction permits, with the exception of Germany's, while South Stream has gained Ankara's permission to pass through Turkish waters. This increases pressure on Bulgaria, whose new government was stalling on the project, since Gazprom is now able to route the pipeline through Turkey and Greece, thereby leaving Bulgaria out in the cold. These policies, some of them entailing higher risks than others, should in the short to medium term somewhat improve Gazprom's current situation. In conclusion, the current economic conditions, coupled with a gas glut and the potential impact of sustainable energy policies, are increasing uncertainty in the gas market. While in recent years pundits believed that environmental policies would lead to a dash-for-gas in order to replace coal, and that Gazprom needed to correspondingly increase its upstream investments in order to meet that rising demand, the picture has turned out to be quite the opposite. Ultimately, it demonstrates the extreme difficulty in predicting future European gas demand. This is also the case because there are so many underlying interests in these guesstimates. Consumers, such as the EU, will always call for greater investments in supply in order to ensure demand is met and create such abundance as to lead to lower prices, while producers, such as Gazprom, will want to have a balanced investment strategy that maximizes profits. Coordination of consumers and producers might in principle help avoid drastic shocks. However, this has proved impossible in the oil market despite decades of massive oil price fluctuations. Meanwhile, the gas market was believed to offer more scope for cooperation because of the fixed nature of the land-bound pipeline networks, and the long-term contracts have exemplified this, even if the crucial gas-price question was pegged to the wildly gyrating oil price. But with low spot prices, increasing liquidity - due to an expansion of LNG supplies - and a panoply of new energy policies as well as diverging interests, the very nature of that market is slowly being eroded. In this context, the outlook for coordination does not look promising.